يحظى فندق فندق كواليتي ملبورن إيربورت بمكان متميز في محور ملبورن الأعمال, تسوق في منطقة مطار ملبورن تولامارين الفاتنة. يقع مركز المدينة المثير على بعد 20 km فقط. إن سهولة الوصول من الفندق إلى المعالم السياحية الشهيرة الكثيرة في المدينة كمثل Broadmeadows Medical Imaging, Melbourne Airport, Broadmeadows Medical Centre هو استثنائي بحد ذاته. كما يقدم فندق كواليتي ملبورن إيربورت الكثير من الخدمات لإغناء رحلتك في ملبورن. يقدم الفندق فرصة للاستمتاع بشريحة واسعة من الخدمات بما فيها: واي فاي مجاني في جميع الغرف, أمن على مدار 24 ساعة, خدمة التنظيف يوميًا, تسجيل وصول/تسجيل خروج خاص, خدمة سيارات الأجرة . ادخل إلى واحدة من الغرف 82 وتخلص من عناء نهار طويل بمساعدة مجموعة كبيرة من الخدمات كمثل إغلاق, مناشف, سجاد, مرحاض إضافي, تلفزيون بشاشة مسطحة الموجودة في بعض الغرف. يمكنك الاستمتاع بالأجواء المريحة التي تقدمها حمام سباحة خارجي, سبا, حديقة طوال النهار. إن فندق كواليتي ملبورن إيربورت هو مكان مثالي للمسافرين الذين يتطلعون إلى الراحة والاستجمام في ملبورن. يُرجى الانتباه – يقدم الفندق خدمة نقل المطار مجانًا. يُرجى الاتصال بالعقار مباشرةً عندما حزم أمتعتك، وسيقلك أحد موظفينا فورًا إلى العقار دون أية تكاليف إضافية. يقع كل من الاستوديو العائلي المكون من غرفتي نوم وجناح ديلوكس المكون من غرفتي نوم في الطابق العلوي. All pros no cons! What stood out for me was the extreme friendliness and helpfulness of the staff from the booking to the checkout stage. 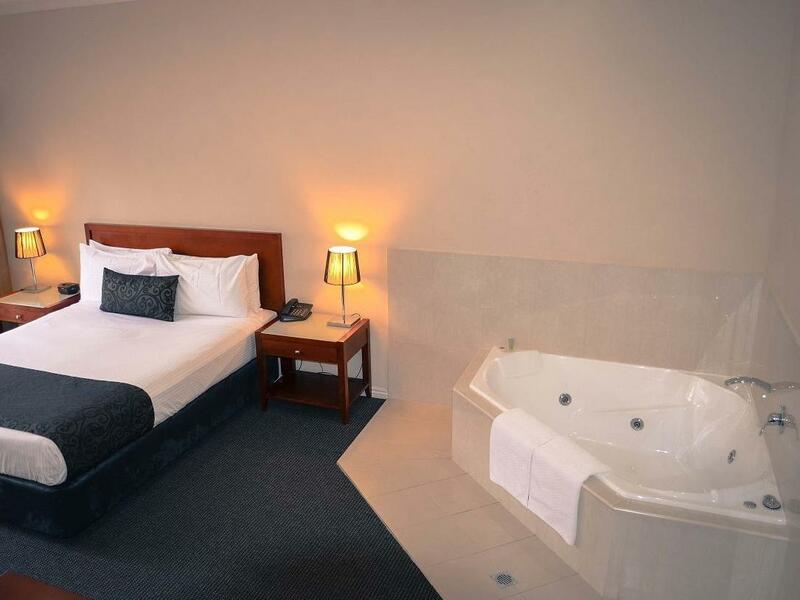 I will definitely stay at this hotel next time I visit Melbourne. A couple next door were arguing and swearing. Told reception and it still happened well after 11pm. Finally rang reception and moved room. Very bad experience as I have stated there many times before. A young man at reception was probably too scared to intervene. 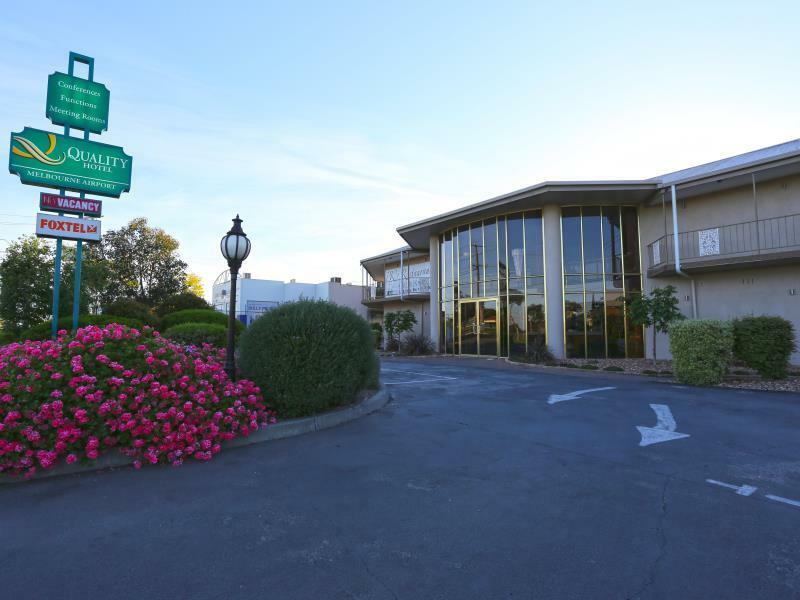 The hotel is very close to the airport and a convenient shuttle bus is provided. We would stay again. I needed medical clearance to fly back to Adelaide after arriving in Melbourne from Hong Kong. I spent 4 nights in this hotel - it was perfect for me. Free shuttle back and forth to my doctor and to the airport, and even to the reasonably close shopping centre and train station! Also public bus stop right out of the front if I wanted to move further afield. Would highly recommend this hotel. Was just a quick trip to the airport from the motel. The drop off and pick up service is fanrasric, as is being able to leave your car there for a minimal fee. Restaurant stays open til 9.30pm if you are travelling down late. We stayed overnight before flying O/S early the next morning. Room was large, well equipped and very comfortable. We parked our car on site and used their transit bus to the Airport; their rate was very reasonable. Pick up service was extremely quick, I rang and was told the bus would be there in 10 minutes, it arrived in 7 minutes, the same driver that took us to the airport was on duty, he was most helpful with the luggage. He delivered us directly to our car, assisted with luggage transfer. He had even given the car a quick wash. Overall most impressed with the total service and will definitely use this venue again. Stayed a night here as a transit to another place the next morning. 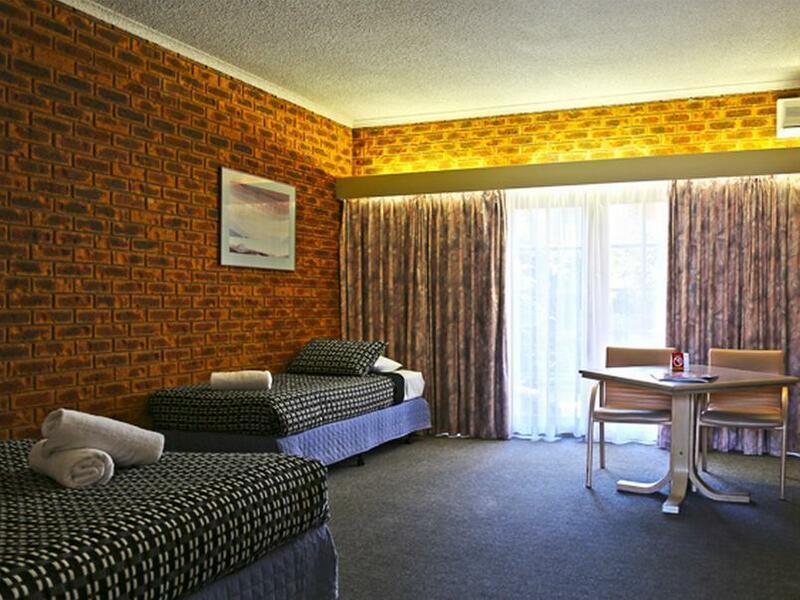 Hotel very basic.. walking distance to fast food outlets like hungry jack etc if u r hungry. Hotel provide shuttle service where u can call them for free ( near this travel desk) to come pick u up. Took abt 5 minutes to reach hotel. If i were to have another transit another time in mel, i would stay here again. All is great! Perfect place to stay Close to the airport. We had one night stay before an international flight. This was perfect for us traveling with small children, made our trip easy and hassle free. We were picked up and dropped off by the free shuttle bus. The rooms were great. Very comfortable beds. I would def stay here again. eating places close by to get take away or the hotel has a restaurant. Everything about this htoel was great. Very happy. my only suggestion with kids would be to ask for ground floor but there is a small lift. Great friendly service! 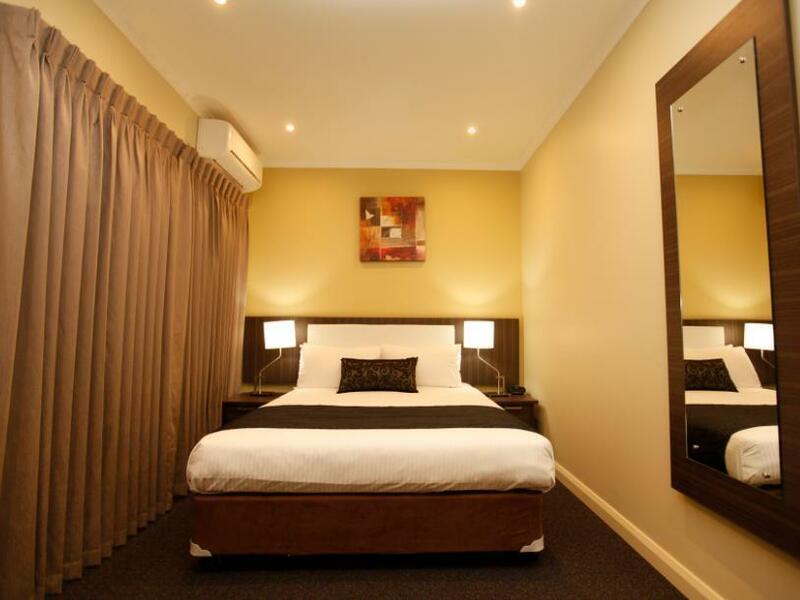 Clean, modern rooms and only a short drive to the airport or airport parking! Only issue is parking - this is not allocated to individual rooms. We had a huge amount of difficulty finding a carpark, when we finally did, it was over the other side of the motel which made packing and unpacking somewhat of a drama. Great place to stay for an overnight near the airport. While the room was small, it was comfortable, very clean and neat, and perfectly good for this kind of stay. Having a free shuttle to the airport is a definite plus. And there are plenty of nearby restaurants if you don't want to eat in the hotel one. 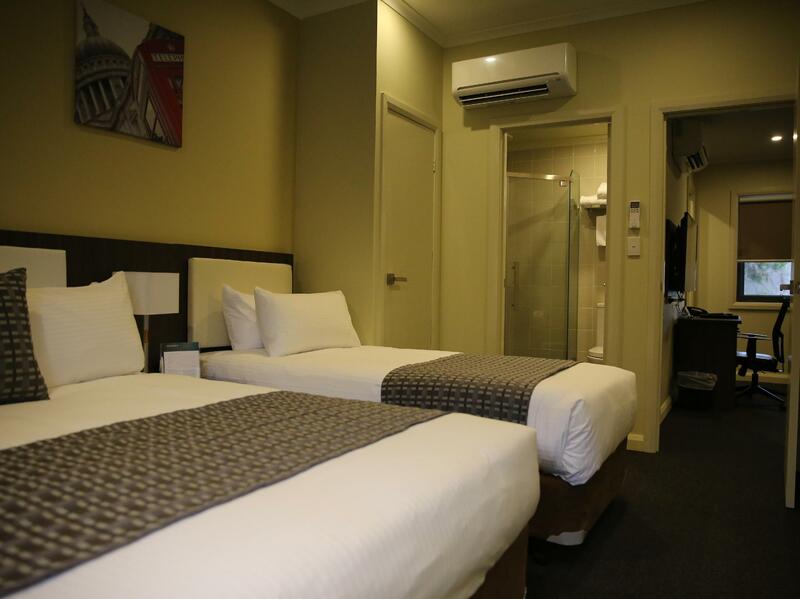 Very close to airport, with a pick up and drop off service included! 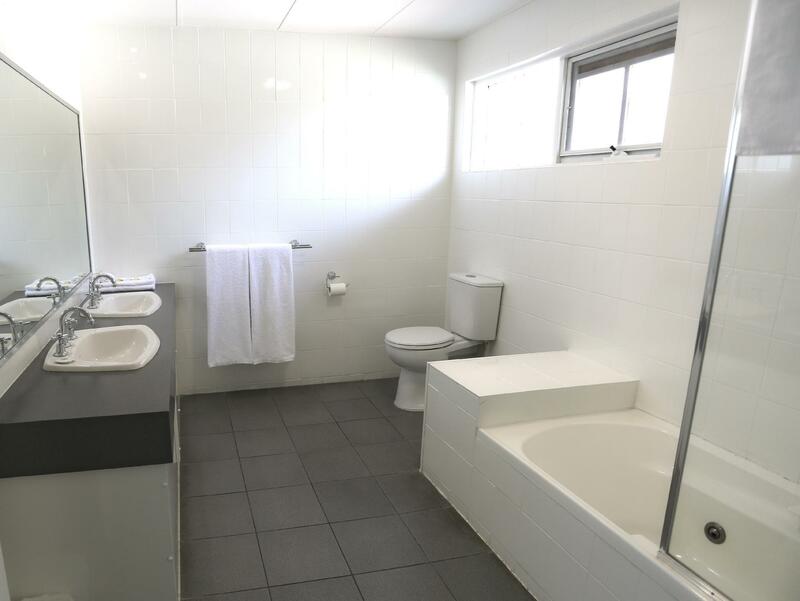 Sparkling clean, with amenities provided in bathroom and coffee/tea etc. For an overnight transit hotel, need look no further. Nice bar too. I didn't get a chance to enjoy it, but it looked good. Family room was big enough for our 2 boys around 2 years old and 2 adults. Fast food within walking distance. Staff amazing and hospitable. Cash deposit of $200. Have to ring hotel to get shuttle. This took about 20 minutes, so maybe ring whilst in luggage claim. Will stay again if needing to stop over again. We were 3 people from the family stayng at Melourne for the 1st 2 days and flied to Hobart very early in the 3rd morning. The hotel offered punctual shuttled service as promised. The staff were helpful and friendly. Room spacious. We enjoyed it. Check in was easy and there is a good shuttle service from the airport. Room was large and had some kitchen facilities. TV was new, large and had many channels. The next door Dragon Chinese Restaurant was very good.